The partnership between the Jel Sert Company and the American Childhood Cancer Organization began in 2008 to help promote awareness and sponsor advocacy programs on a national basis and in 2010, The Jel Sert Company initiated the Take a Pop, Share a Smile program. The overarching mission of the program is to help children across the United States cope with cancer and all that it brings to their lives. These brave children face many challenges, such as the side effects of the invasive therapies used to treat the disease. Freezer pops are often used to help children endure these treatments while keeping them hydrated. The program involves the donation of freezers and a continuous supply of freezer pops to cancer treatment centers throughout the country. With the help from people like you, The Jel Sert Company has donated over 1 million pops to over 125 centers across the country to date! Please provide the following information. Once you complete and submit this form the Take a Pop, Share a Smile Program Coordinator will contact you via your preferred method of communication. Please provide the following information. Once you complete and submit this form the Take a Pop, Share a Smile Program Coordinator will contact the hospital contact listed below to further discuss the program. Why are you nominating this hospital? Please provide the following information. Once you complete and submit this form the Take a Pop, Share a Smile Program Coordinator will follow-up with you regarding shipping information. Department where freezer/pops will be located? Number of patients per week (in freezer/pops location)? How will your hospital/facility benefit from this program? 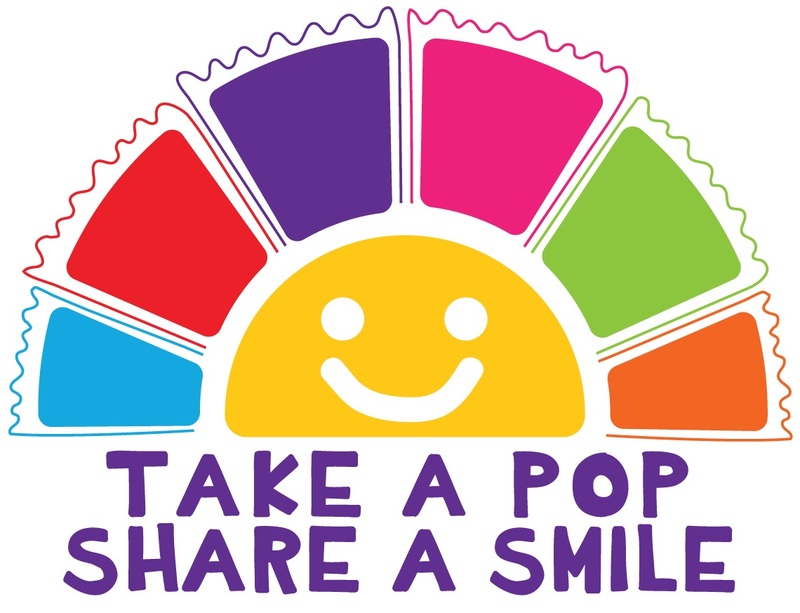 Thank you for participating in the Take a Pop, Share a Smile program. Please follow the directions below to successfully request more freezer pops!